“On New Year’s Day 2018, I am not issuing an appeal. 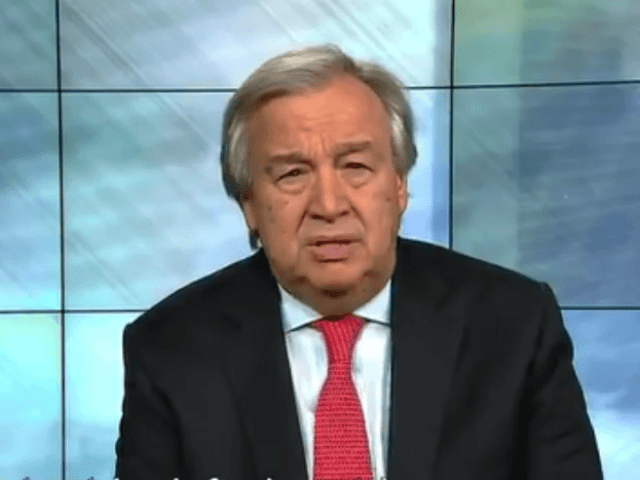 I am issuing an alert—a red alert for our world,” Guterres said. “But we can only do that together,” Guterres said, noting that 2017 had not turned out to be the year of peace he had hoped for in his last New Year address. 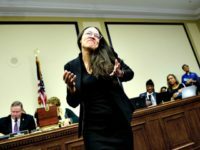 “At the same time, impacts of climate change worsened at an alarming rate, inequalities grew, and there were horrific violations of human rights,” the U.N. press release said of the secretary’s remarks. “Nationalism and xenophobia are on the rise,” Guterres said. The press release said the secretary believes the world “can be made more safe and secure” if nations unite against these threats. “Underscoring his belief that the world can be made more safe and secure, conflicts can be settled, hatred can be overcome, and shared values defended, he emphasized that unity is indispensable to achieving these goals,” the press release said. North Korean dictator Kim Jong-un also delivered a New Year speech on the state-run KCTV television stations on Sunday, saying the United States is within range of the country’s nuclear weapons and that he can deploy them at any time.